Area residents will soon be able to get their bubble tea fix at the Village at Leesburg, as Bubbleology opens its new location Friday. The culinary options at the Village at Leesburg neighborhood continue to expand, with Friday’s grand opening of Bubbleology. The European franchise is a purveyor of the popular bubble tea drink, which contains differing types of teas—with and without milk—as well as tapioca balls, or boba. Founded in 2011 in London, Bubbleology has expanded throughout Europe, the Middle East and the U.S. 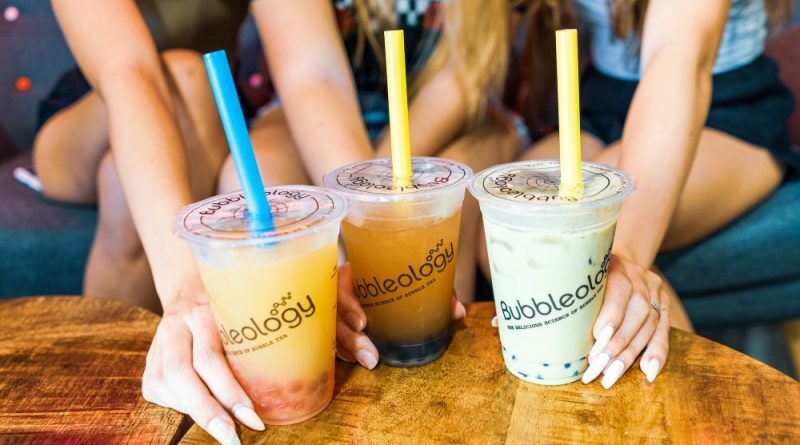 In addition to a variety of milk and fruit teas and create-your-own brews, Bubbleology serves coffee varieties, skinny drinks, blended options, and allows customers to mix flavors. Bubbleology bubble teas are freshly made to order with organic tea leaves, can be customized to the individual’s taste, and are 100 percent vegetarian. Bubbleology recently launched a refreshed “specials” product line including new flavors and textures. New additions include the Salted Cream Cheese Crown range in which cheese, dairy cream, organic milk and rock salt are blended to create a creamy topping which is then poured over the Bubbleology tea like a crown, which can be sipped or shaken and blended with the rest of the drink for a creamier taste. Other new specials include the “Bobatella” Nutella Bubble Tea; Nojito, made with pure coconut water and lychee with mint; Pink Teddy; and the Blue Electric Yuzu. According to a press release, Bubbleology plans to eventually offer delivery of its products to homes and workplaces. Catering is also available. The new Bubbleology will be located at 1604 Village Market Blvd. Suite #121. The grand opening celebration from 4-6 p.m. Friday, Jan. 18, will include free bubble tea for customers.